This story occurred in 1986. A month earlier I had been sent back from the Pskov Caves Monastery to Moscow. Archbishop Pitirim, who headed the publishing branch of the Moscow Patriarchate, had been told that in the Pskov Caves Monastery there was a novice with a degree in cinematography. It just so happened that in that year the government had finally allowed the Church to prepare to celebrate 1,000 years of Christianity in Russia. Specialists were urgently needed to prepare a show for the ceremony commemorating the millennium: for the first time we would be showing the life of the Church on television, and making movies about Orthodoxy. So I was requisitioned. For me it was a real tragedy to be moving back to the city that I had left for the Pskov Caves Monastery several years before, but my spiritual father, Father John, said to me, “A novice must above all obey: go where your holy superiors have commanded you.” Nonetheless, I always used any excuse I could to come back to my beloved monastery, even if only for a day or two. One day I received a call from Father Superior Zenon, a monk and icon painter who also lived in Pechory Monastery at the time. He sounded very nervous and wouldn’t explain anything over the phone, but begged me to immediately come back to the monastery. I can’t remember what excuse I used to convince Archbishop Pitirim to give me leave, but the next morning I was already in Pechory, in the cell of Father Zenon. What did he have to tell me? Under conditions of greatest secrecy, he informed me that several weeks ago in the mountains of Abkhazia, amidst regions where monks had secretly been living illegally for several decades, there was one monk who had suddenly had no choice but to descend from the heights and come back into the secular world. Now he was in serious danger. Monks had been living illegally in the mountains around Sukhumi for years, since the very beginning of the Soviet Union. They would relinquish the world forever and go into hermitage in remote mountainous regions, hidden from civil authority and even sometimes from ecclesiastical authority. Some of them were real heroes and spiritual warriors who sought seclusion in order to be with God through ceaseless prayer and contem­plation. Others left the world in protest against the lies and injustice of the Soviet government and the Church that it controlled—ripping up their Soviet passports. Others wanted to have nothing to do with what the Soviets called “ecumenism,” collaboration, or any of the other empty slogans that our ecclesiastical authorities at the time were parroting. Three years ago I had a chance to visit these mountains myself. With the permission of Archimandrite Cyril and Archimandrite Onuphrius of the Holy Trinity Monastery, I went with several friends to bring a monk from the monastery with us to the illegal monastic hideouts. The story of our trip is worth telling separately, but in any case I was well acquainted with the house of Deacon Gregory on Kazbegi Street in Sukhumi. From there almost all of the journeys from legal to illegal life departed, winding to the summits of the Caucasus past two or three shelters along the road into the mountains where pious Christians would hide the monks. The travelers would climb up steep mountain paths from one cell to another, ascending to ever more remote and beautiful places. Such were the hiding places of our spiritual heroes. Of course the authorities persecuted these monks mercilessly. They would set up search crews trying to hunt them down, and when they caught them, they would put them in jail. And yet monks kept coming back and living here—an example to many of the unconquerable Church. And now Father Zenon told me that one of these monks had been forced out of the mountains and was now in Pechory. He was still quite a young man—just twenty-two years old. His name was Augustine. I’d heard about him from the monks in Sukhumi, but had never laid eyes upon him. When Augustine was only four years old, his mother had become a nun. She had gone up into the mountains and taken her son with her. The boy was brought up by monks and at the age of eighteen took his monastic vows. He lived in a cell with his mother and was educated by those mountain elders. He had never had the slightest thought of abandoning his desolate seclusion. However, once as he was working on the mountainous terraces of his orchard, while his mother was busy taking care of the household, a band of Abkhazian hunters came upon their community. They were all drunk and angrily demanded that Augustine’s mother prepare food for them. She completely understood that she had no options. (All those hunters had to do was return to their village and report her and her son to the authorities.) Therefore she obeyed and invited them to sit down and eat. However, after eating and drinking more and more wine, these interlopers became even more unruly and began to make unwarranted advances on Augustine’s mother. She replied that she would prefer that they burn her alive than that they defile her honor. The hunters, maddened by wine and lust, then poured kerosene on her and burned her alive. From a distance Augustine heard the horrible scream of his mother. He raced back to the cell and saw the horrific scene: his mother burning and on fire, running around their hovel and screaming horribly, while the hunters trying to sober up chased after her in a panic, trying to put out the fire. When they saw a young man running into the house the hunters began to panic even more and ran away. Augustine finally was able to quench the flames that were burning his mother. She was already just about to die. Augustine brought his mother to the nearest village— into the home of one of their friends—but there was already nothing that could be done to help her. The nun died, after first taking Holy Communion and asking her son not to take any revenge, but instead to pray for her miserable murderers. Augustine listened to his elders’ advice. At first he took refuge in the Holy Trinity Monastery, but it was dangerous living there without an internal passport. Therefore from there he was sent on to the Pskov Caves Monastery. This was because there already was one monk in the Pskov Caves Monastery who had come back down from the mountains. But now he was very old, and after more than forty years up in the mountains, he was allowed by the elders with their blessing to go back to the outside world for medical treatment. The abbot of the monastery at that time, Father Gabriel, had for all his gruffness and terrible temper taken pity on him, and had figured out a way to obtain permission from local authorities, police, and the KGB for the old and ailing monk who had no documents at all to live out his days in the monastery. Indeed, with the help of our abbot, the imperious Father Gabriel, he had been given an internal passport. And so he lived in the almshouse, located in the St. Lazarus wing of the monastery. Of course, when he said this, he was still upset by the rude reception that our abbot had given him. Still, as he was saying, anyone who ever met Augustine was truly amazed. Unfortunately, at this time Archimandrite John (Krestiankin) was not present in the monastery. Like no one else, he would have been able to give the correct advice as to what to do with this surprising young monk. I inquired where Father Augustine was now. It turned out that after the incident with the abbot, Father Zenon had sent him away from Pechory for safety’s sake to Moscow, to his spiritual children Vladimir Vigilyansky and his wife. For the moment Augustine was taking refuge there. The next day when I got back to the capital I made the acquaintance of this lovely pair. Nowadays lots of people know Vladimir Vigilyansky as the director of the press service of the Patriarch. But at that time everyone just called him Volodya (the nickname for Vladimir, like “Bill” for William). He was still a researcher in the Institute for Art History, and he lived with his wife Olesya and their three young children in the so-called Writers House on Prospekt Mira. Their neighbors were such celebrities as the bard Bulat Okudzhava, the astronaut Leonov, and the sports announcer Nikolai Ozerov. Father Augustine was hidden like a secret jewel of the Vigilyansky family on the ninth floor of this building. Of course, I couldn’t wait to meet him. Into the room walked a man who seemed to have come from an­other world, a young monk with long flowing tresses of hair down to his shoulders, and with huge deep dark-blue eyes. We greeted each other in the special and pleasant manner of the mountain monks. Olesya and Volodya gazed at us with admiration. We sat down at the table and I started asking him about our common friends living high up by the Psou mountain brook—Fathers Madarius, Orest, Paisius, and little Father Raphael. Augustine answered calmly and with few words: he had known all these people since he was a boy. When the conversation was over he retired to his room. But we were left with a remarkably radiant impression from this meeting. On the other hand, we were left stressed by the unresolved ques­tion of what we were going to do with him. At the time it was 1986. He had categorically refused to put on secular dress. But at this time a man wearing a monastic cassock and without documents was guaranteed to be stopped for a document check by the police, and would then be immediately arrested. Lawyers who were friends of Volodya Vigilyansky warned that Father Augustine would immediately be slotted into any old unsolved crimes on the police blotter from Kaliningrad to Vladivostok. And it would be very convenient for them to write off a crime as solved— especially while getting rid of an unwanted monk at the same time. At the very thought of this young monk who knew nothing of worldly life, this little angel-Mowgli, raised in the mountains and on Scripture and the holy books of the Church elders, suddenly being kept captive and tormented in a preliminary holding cell, or being packed off to our Army, to which a healthy young man would in any case otherwise be sent without further discussion, we were all horrified. And what if the worst were to happen, and this chaste and unspoiled lad were to end up in jail just for having given up his life to God? Over the next few days we tried as best we could to find a solution to this predicament. 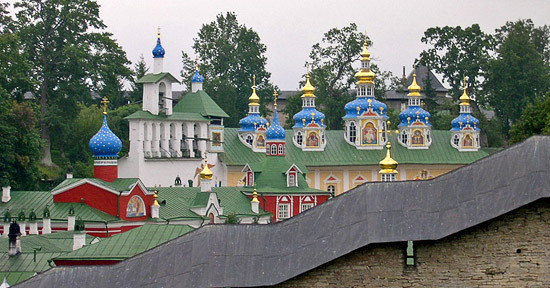 Vladimir traveled to the famous Holy Trinity Monastery to consult with his spiritual guides. We consulted our friends, some of whom knew other lawyers. Someone even promised to get the celebrated pop star Alla Pugacheva involved, just in case we needed “pull” to get Augustine out of jail. Meanwhile Father Augustine lived his own life. He prayed in his room, which we immediately began to call his cell, and then waited for our decision. As I observed him, I noticed curious differences in traditions between regular monasteries and mountain hermitages. For example, I happened to notice that Father Augustine was wearing an ornate priestly cross with decorations underneath his cassock. “Where did you get this cross? Are you secretly a priest?” I asked this because I knew that sometimes that’s exactly the answer. He also had a very beautiful incense burner, and every day he would burn incense in his room, for which he would ask us to obtain both coal and the incense itself. I had not noticed such a custom in any of our monasteries. Or another time I suggested to him that we read the kathisma, or a portion of the Psalter, together, and I was quite surprised to see that Father Augustine made quite a few simple mistakes. I was almost about to judge him for this—what sort of monk is it who knows his Psalter so badly? Then I thought better of judging him, realizing that in the high peaks of Abkhazia there was simply nobody available to teach him the fine points of correct Old Church Slavonic. And so the days went by. Gradually we began to notice that Father Augustine was changing. To be more exact, or to call a spade a spade, our company was ruining him. After all, quite unlike him, we were far from angels. And as the Book of Psalms says: “with the merciful thou wilt show thyself merciful; with an upright man thou wilt show thyself upright, with the pure thou wilt show thyself pure; and with the froward thou wilt show thyself froward” (Psalm 18, 25–26). The last verse was about us, and everyday we saw signs of our bad influence on him. For example, after long discussions of all possible plans for the salvation of Father Augustine that came to nothing, we would decide to console ourselves with ice cream. Our young monk suddenly became so fond of walnut ice cream for twenty-eight kopecks that he ate five whole portions in a row. Soon every day he was sending Vladimir’s son Nick to the nearest kiosk. We didn’t feel good about refusing him, and so we began to observe with growing horror that we had truly perverted Father Augustine: he could eat that cursed ice cream twenty-four hours a day! Young Nick has now grown up, graduated from college, and serves as a deacon in a church, but remembers all too well how he repented with tears having fattened up the mountain refugee with a seemingly limitless quantity of ice cream. Or another example: Olesya’s brother had a tape recorder. And suddenly we saw how young Augustine would sit next to him and together they would listen entranced to the Beatles! A monk who liked rock and roll? What would be next? At this we were truly horrified and fell into a deep shock. Feeling helpless and gloomy, we would gather in the Vigilyanskys’ apartment. Also joining our discussions were another husband and wife pair, Elena and Zurab Chavchavadze, and Father Superior Dmitri from the Holy Trinity Monastery (who is now the Bishop of Vitebsk). I was shocked. On the balcony of our neighbors’ apartment one floor beneath us the legendary sports commentator was truly standing there, and in fact benevolently he nodded to the monk who recognized him. But that was not the point. It turned out that Father Augustine had found a subscription to the popular magazine Ogonyok and had spent hours shortening his days reading these magazines cover to cover in his cell. I realized that before it was too late we must immediately remove this innocent monk from our society. Otherwise we would corrupt him beyond redemption and never be forgiven. In the midst of all of these unhappy events suddenly a decision was arrived at by my friend Zurab Chavchavadze (he and his wife Elena to this day are parishioners of our Sretensky Monastery). Zurab suggested that he bring the boy to Tbilisi to the Georgian Patriarch Ilya. It was truly a brilliant idea. Those who lived in the Soviet Union before may remember that at that time Georgia was in many ways an exceptional territory within our enormous country. Many things were possible there that were totally unthinkable—for example, somewhere in Pskov Province or in Siberia or in the Russian Far East. For example, it would be possible to back date and “naturalize” a person or “correct” his documents. Besides, Father Augustine had lived his entire conscious life on the canonical territory of the Georgian Patriarchate. Zurab himself had served for several years as a subdeacon of His Holiness Patriarch Ilya. The Patriarch respected the ancient princely lineage of the Chavchavadze family, and Zurab was certain that Patriarch Ilya would want to help both us and a brother of the Church, and therefore would be able to do something that would be totally impossible in Moscow. And so, having rejected the doubtful ideas of buying a fake passport, or appealing to the mercy and goodness and understanding of the Soviet state organs, or a third idea of ceaselessly shuffling poor Father Augustine from apartment to apartment to apartment, we decided to take him to Georgia. Father Augustine prayed and then agreed to the plan. There was only one hitch: how was I going to get a week off to go to Georgia? I needed a serious excuse. I did not think that it would be possible to tell my boss Archbishop Pitirim about the underground monk Augustine, if for no other reason than that I did not wish to place a high-ranking ecclesiastical leader who was constantly under surveillance by the secret police into a vulnerable position. Then suddenly I had an idea to make a film in connection with the millennium of Christianity in Russia about the unity of the Russian and Georgian Orthodox Churches. I should add that the supervisors from the Council on Religious Affairs, whose job it was to oversee ecclesiastical life, had several times asked me to make an “ecumenical” film about how all religions were really the same. Having been educated in the Pskov Caves Monastery on strict monastic anti-“ecumenism,” I had categorically refused all previous offers. But now a plan was budding within me to pass off a film about the unity of the Churches of Georgia and Russia as being ecumeni­cal, thereby receiving support from the Council on Religious Affairs both for the trip and for the film. I wrote the screenplay in one night. 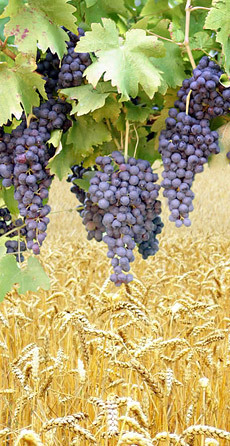 The images of the films were as follows: the symbols of Russia are wheat and bread, while the symbols of Georgia are grapes and wine. The Russian farmer plows the field, sews the grain, harvests the grain, gathers the wheat kernels, grinds them, and thus makes flour. The Georgian farmer drops the grapeseed into the warm earth, grows the vineyard, then harvests the grapes, tramples the grapes with his feet into enormous vats . . . And all of this is very beautiful and one can feel it leading up to an extremely valuable goal. . . . In the end, all was made clear: the highest goal of this ancient and mighty labor is one common Liturgy: the Bread and the Wine, the Holy Gifts of the Eucharist. This is our true unity. Archbishop Pitirim was very pleased by this screenplay, and with skilled diplomacy he quickly talked the bureaucrats from the Council on Religious Affairs into at last making the “ecumenical” film that they had been bothering us to make for years. Of course if this bureaucrat had been better educated he would have understood that the story had absolutely no relationship whatsoever to his notion of “ecumenism,” since both the Russian and Georgian churches are Orthodox, whereas his “ecumenism” presumed dissolution of our faith into others. But the main thing was that the question of our trip to Georgia was immediately resolved. However, now there was another question: before traveling to Georgia, we needed to film the harvesting of the wheat in Russia. Otherwise we would need to wait an entire year for the next harvest. And this was the problem: it was already the beginning of September, and in the central portion of the country, not to mention the South, all the wheat had long since been harvested. I called the Agriculture Ministry and asked if there was any place where they were still harvesting the wheat. Unfortunately I was taken for an inspector and immediately given the runaround: always, on the entire territory of the Soviet Union, one sixth of the globe’s land mass, all the wheat had been successfully harvested and stored properly in its granaries. Even as I tried to find out if there was just one collective farm anywhere in the country that was just somewhat later than the others so that we could just take a few pictures and shoot a few frames of the harvest, the bureaucrats of the Ministry steadfastly swore to us that there was no way it would be possible to find any farm anywhere that had been so frightfully backward in its duties. But finally I got lucky. The editors of the newspaper Country Life took pity on me and told me that according to their data there was still one part of the USSR harvesting the wheat—Siberia, or to be more exact, a region of Omsk Province. And if we were to fly out there no later than today, we just might make it. That very evening I raced out with the cameraman, whose name was Valery Shaitannov, to Domodedovo Airport and barely made the last flight to Omsk. Meanwhile Zurab Chavchavadze was supposed to buy tickets on the express train to Tbilisi, leaving in two days. Back then internal passports were not required for the purchase of train tickets, although they were for airplane tickets. Therefore we were not worried about Augustine. But it did not seem that Theodosius was in any particular hurry for his “promotion.” At any rate, he had not yet arrived. Thus the full complement of ecclesiastical authority for us in the bishopric of Omsk was represented by Deacon John—who was also our driver. Our cameraman and I were able to film everything wonderfully, with lovely shots of an endless wheat field in the sunset, and the rays of sunlight streaming on the waving sheaves of wheat, and the friendly teamwork of the workers on their tractors and combines, the golden grain and the joyful faces of the farmers . . . I understood that he really wanted to hear more stories about life in the capital, and I didn’t begrudge the deacon this pleasure. I told him everything I could remember about the life of the Moscow church, until finally I told him about how there had been a scoundrel pestering Archbishop Pitirim and claiming to be the son of the last Tsar. The deacon stirred. “Even stole the cross from the altar?” I exclaimed. And then I remembered that not long ago I had seen just such a cassock with just such curious buttons. But where and on whom? And suddenly I remembered distinctly: I had seen these exact buttons on the robes of Father Augustine. In fact, it had always made me somewhat curious: how was it that a mountain monk was somehow wearing such a “stylish” cassock? Nonetheless, to keep passing the time, and drive off the foolish doubt that had begun to bother me, I asked the deacon what that young lad who had stolen his robes and the money in the cross from the altar looked like. As Father John eagerly described the youth in great detail, I began falling off my seat. He was exactly describing Augustine! “What else did he steal?” The deacon repeated my question. “Let me think—oh yes, I remember, we spent two months hanging around the police station about this . . . he stole our censer for incense, it was golden, and belonged to the archbishop . . .
“Did it have little bells on it?” I whispered this question. Now it was the deacon’s turn to be astonished. I related the story to him as best I could and asked him to take me as quickly as possible to the priest of the church that had been robbed. According to Augustine the cross that had been given to him as a blessing by the elder had one peculiarity: its frame and green malachite stones had been damaged. At first the priest of the church didn’t even want to speak to us, because the investigation had been extremely traumatic. Indeed, they had suspected him of the theft of the valuables from his own church. But finally he described the cross that had been stolen. The detail about the damaged stone on the frame of the cross left no doubt—none whatsoever. That night I flew home but was completely unable to sleep, of course. The only place in the entire Soviet Union where the wheat had not been harvested until last evening was thousands of kilometers away, way, way out in Omsk Province. The only person who was eagerly willing to take us there had been the deacon, my driver. And the only reason why this curious story had slipped out was because the deacon couldn’t forget about his beloved buttons. And the only reason why I had had the chance to hear the story from him was that the old Archbishop of Omsk had left for a new bishopric, while the new archbishop had yet to arrive. Otherwise the deacon would have been driving around his own archbishop, and not some young novice monk from Moscow. And how on earth had the idea about the screenplay with the wine and the bread come into my head? Maybe this was all just so that I could fly here and discover everything? What did I know? What could I be sure of? Who then was Augustine? A villain! Was he responsible for murders or blood or violence? Or was it all just a devilish coincidence? How was it possible that our Augustine was not a real monk when he knew my dear friends, the mountain monks Father Paisius and Father Raphael? The more I thought about things during that sleepless night as I looked up into the dark starry night, the clearer things became for me: I had been brought to the distant town in Siberia by the Almighty hand of the Lord! Nothing, absolutely nothing was a coincidence! The peculiarities I had noticed in Augustine before now blazed in my memory like flashing alarms: his poor reading ability of Old Church Slavonic, his priestly cross, his fancy censer, his passion for ice cream, his joy upon meeting the famous sports commentator Nikolai Ozerov, his love for rock and roll. And much, much more. We had tried as hard as we could not to judge him for all these things we didn’t understand. In fact, we had been afraid of ourselves for being judgmental against him. Was it because we had been afraid to judge him that the Lord so miraculously revealed the truth to us? Or was it because it would have been just too terrible if Zurab Chavchavadze and I had brought this fellow to Patriarch Ilya and gotten him to vouch for this fellow and procure documents for him? If we had unwittingly deceived the Patriarch into becoming his next victim, that would have been too horrible to think of! Over and over again I kept coming back in my mind to the question: Who was this man? Why was he hiding? Why was he always around the Church? What other crimes had the lad been involved in? And although my reason was telling me that everything that I learned in Omsk, where I had only been for one day, was the truth, still my heart refused to believe. Too monstrous and impossible would have been our disillusionment at Augustine’s deceit! No, we needed to calmly and carefully get to the bottom of everything. I remembered that Augustine had told us how before coming to Pechory he had lived for a while in the Holy Trinity Monastery. So as soon as our flight landed in Moscow, I said goodbye to our camera operator and took a cab from the airport directly to that monastery, in Zagorsk. I was well acquainted with the dean of the monastery, Archimandrite Onuphrius. He was a remarkable monk and father confessor who now serves as the Metropolitan of Chernovtsy and Bukovina. When I told him the whole story, he immediately remembered that three months ago there had in fact been a rather strange young subdeacon from the diocese of Omsk living with them very like in description to Augustine. Father Onuphrius asked his assistant the Hieromonk Daniel (who is now the Archbishop of Arkhangelsk), who had been taking care of the guest from Omsk, to give us more details, and we interrogated him thoroughly. Father Daniel told us that at the beginning of the summer a completely unknown and very young subdeacon had arrived from the diocese of Omsk. He called himself Father Vladimir. He said that he had been robbed on his journey and therefore he had nothing—no documents, no money, and just a cassock. The monks of the Lavra had taken pity on him and had brought him to the monastery wardrobe, where he had been given a complete set of monastic garments—a cassock, and a klobuk hat. Within half an hour the guest was presented to the Abbot of the Lavra in full monastic regalia. He was allowed to live in the monastery while he got his documents back in order. Father Daniel told us that he was an ordinary young monk, albeit with certain peculiarities, but then again young provincial monks are often not without their quirks. What quirks? Well, for example, he had a medal of St. Vladimir—a very high award indeed, rarely given out even to the most dedicated members of the clergy. Asked about the medal, he had answered that he was given this award for having restored a church in the diocese of Omsk. “So young, and he already managed to do such a great thing!” The other monks were beside themselves with admiration. But what surprised Father Daniel more than anything was that this young deacon refused to take part in the services, but instead would stand off to the side or somewhere in the corner. When he was asked to serve together with the other monks, he would refuse, saying that he was indisposed or that he did not feel worthy of such an honor. Finally the monks of the monastery got seriously worried about the spiritual health of their guest and decisively insisted that he serve the Liturgy on Sunday. “And did he?” Father Onuphrius and I asked in one voice. I was beginning to feel ill. To act a sham role as a clergyman without ever having been ordained? It was unthinkable! “So what happened to him?” Father Onuphrius was curious. And so, with God’s help, the situation had become clearer. Someone (whose real prehistory we did not know) had appeared in Omsk. There he had passed himself off as an orphan and had lived around the church for eight months. Then he had robbed the church, after which he came to the Holy Trinity Monastery, where he had passed himself off as the subdeacon Vladimir. There he had tried to obtain documents for himself, but when that didn’t work out, he had gone to Sukhumi. The life of those mountain monks, outside the orbit of Soviet officialdom, and best of all without any documents whatsoever, had appealed to him very much. However, having spent some time with the hermits, he quickly realized that in their ascetic conditions (in the complete absence of any ice cream) he would not last long. Then having heard about the true tragic story of a real monk named Augustine, he decided to pass himself off as that real person. What’s more, he had heard that the Abbot of the Pskov Caves Monastery near Pskov, Father Gabriel, had, in spite of his reputation for being a crude despot, once taken in a refugee, an ailing elder monk, and had even in spite of all obstacles obtained an internal passport for him. As Father John (Krestiankin) later revealed to me, the truth had been revealed to Father Gabriel by the Mother of God, the Heavenly Protectress of the Pskov Caves Monastery, who had spiritually revealed to the abbot as her representative just who this young scoundrel was and thereby had protected our monastery. Meanwhile the other goodly monks, deceived by appearances, and shocked by the cruelty of their abbot, had saved “Augustine” from his clutches and hastened him off to Moscow. The rest we know. Except we don’t know! Who was Augustine in real life and what did he do before he got to Omsk? And what would he do once he realized that we knew the truth about him? What if he were armed? Or what if, once we revealed the truth about him, he would grab a child—for instance Nastya, the Vigiliyanskys’ four-year-old daughter—and put a gun to her head or a knife to her throat, and tell us to do what he commanded, or else? And even now, in spite of the undeniable facts, I was still not entirely convinced that our Father Augustine was truly a liar and a criminal. How could it be? Our Father Augustine, whom we had all gotten to love? With whom we had all prayed, drunk tea, argued, and discussed spiritual questions? Was this all just some kind of horrible hallucination? Was it all just a string of remarkable if unlikely coincidences? Was I, a sinner, unfairly judging an innocent lad who was pure as the driven snow? All these doubts did not leave me for a moment. Finally I came to the firm conclusion that I could not accuse him of anything until I was completely certain in my heart. How would this happen? I did not know, but if the Lord had already revealed everything that we had just learned in the past two days, then He would reveal the rest. That evening we were supposed to get on the train for Tbilisi. In the publishing department I picked up a letter from Archbishop Pitirim to Patriarch Ilya, asking him for help in the making of our film The Eucharist. I called my friends who had taken part in the matter of Father Augustine, and asked them to all gather together with us in the apartment of Vladimir Vigilyansky that evening to have one last discussion before our trip. I already knew what I was going to do. When we would be all sitting together with Augustine at the table, I would announce that I had just arrived from Omsk. Then I would carefully observe the reactions of Father Augustine. Then I would suggest that we all listen to the story about how nine months ago a young man had arrived in Omsk and had gone to the church calling himself an orphan. I would talk about how everyone had taken pity on him, had helped him with food and shelter and work, had introduced him to the priests and the elders, and how that “orphan” had repaid their kindness by pitilessly robbing the church, stealing the offerings of the parishioners, and even stealing a cross from the holy altar. Everyone would express their indignation about such a sacrilegious crime—but I would continue. Here without doubt he would certainly give himself away! It would be impossible not to! “Who?” He would repeat feebly with trembling lips. Here by his reactions everything would be utterly clear, and he would not be able to conceal his feelings. Two hours remained for the invited guests to appear. When I went into the Vigilyanskys’ apartment I immediately asked Father Augustine to take a taxi with me to the publishing department to pick up the letter for Patriarch Ilya. He agreed happily. He seemed pleased about the idea of taking a spin in the car, and having a look at the publishing house. Then I had an idea. What if after we revealed his identity, he managed to escape again and would once again commit crimes against the Church? So therefore I suggested: “Father Augustine, let’s get our picture taken together! It’ll be a nice memory for Olesya and Volodya!” He wasn’t very happy about this, but gritting his teeth he agreed. Having said this, I immediately regretted it. Augustine gave me such a nasty look that it almost made me ill. But I did my best to turn these words of foolish vanity into nothing more than a silly joke. Fortunately, I succeeded, and the moment passed. Augustine let us take a picture of him, although from time to time he gave me extremely suspicious looks. It seemed plain that he was getting nervous. Finally Volodya began to comprehend. I said nothing more, but grabbed Father Augustine and went off with him in a cab to the publishing department. We chatted on the road about this and that. And then I even took him out for ice cream. I wanted to give Volodya more time to conduct a thorough search. When we got back, our host was as pale as chalk. At once I dragged him off to the kitchen, yelling at Augustine to stay in the foyer and meet our guests. The doorbell rang in the foyer. Father Dmitri had arrived from the Holy Trinity Monastery. We could hear how Augustine met him and how they went together into the living room. But even now with the new evidence, I could still not believe in the reality of what was happening. It was so amazing! I swapped impressions with Volodya. Even he, who had just seen with his very eyes this fellow’s real documents, as well as the large sum of money, had also not been able to believe that Augustine was not really the man he was passing himself off as. Zurab and Elena Chavchavadze arrived as well. Once Volodya and I joined everyone in the living room, we had all gathered as planned. We sent the kids off to take a walk. “Well? Why have you asked me to come here all the way from Zagorsk?” Father Dmitri was somewhat annoyed that he had had to make the trip. And everybody would react just as I had imagined. But suddenly I had a different feeling . . . I felt sorry for him. Although, to be honest, I was also feeling a different feeling—one of triumph, the feeling of a hunter who can see that within a moment his prey will at last be in his hands. But this feeling was hardly a Christian feeling. Once again he fell silent for a long time. I could see his mind spinning, calculating, trying to figure out what he could get away with. To watch this process was so unpleasant that my last bits of charity and pity for him disappeared. “Where do you want me to start?” This question was clearly a trap. He was trying to feel out how much I actually knew. From the disappointment with which he hung his head, I was relieved to see that my words had landed right on target. Even if, though he did not know it, I had shot my last bullets, and had no more ammunition in reserve. And Sergei began to tell his story. He had been a criminal, a swindler, and a thief. He had been thieving since childhood. At eighteen he had escaped inevitable imprisonment by being drafted into the Army. But in the Army his criminal proclivities had been noticed by the eager-beaver boss of the regimental warehouse, who got him to help sell off property that belonged to the Army. Among his “clients” by the way had been a priest, who was trying to repair a half-destroyed church. In those years it was impossible to buy construction materials needed for the church with­out the permission of the Council on Religious Affairs, and therefore the priest, in typical Soviet style, had bought bricks and cement and lumber from Sergei. Sometimes Sergei used in to come to the priest’s home, where he had been touched by the true goodness and kindness of the fatherly priest’s concern for the “little soldier.” He was also touched by the fact that the priest was doing all this not for himself, as he lived very poorly, but for others, for the Church, for the faith . . . But one day an inspector came to the regiment. Sergei quickly realized that his “friend” the boss would finger him with all the blame in order to get off scot-free. So he grabbed his profits and got on the first train for any­where. The train brought him to Omsk. It was the last stop. From there he had no idea where to go, but suddenly he remembered the good priest. Sergei looked for a church, called himself an orphan, and found himself a nice, safe, warm place to stay for many long months. The grandmothers doted on him, and Sergei himself began to get used to the life of the church, learned some new words and phrases, and was pleasantly surprised by all the kind and trusting relationships he observed between the people there. But finally spring came, and Sergei had gotten tired hanging out with the little old ladies of the church in Omsk. He began to dream of the open road. Just at that moment a grandma who was an elder of the church and called him her grandson trusted him so much that she gave him the entire fund of one year’s dues and donations from the parishioners to carry over to the Peace Foundation. He stole the money, even though he knew with what enormous effort, kopeck by kopeck, these funds had been collected for the Soviet Peace Foundation. He stole everything that he fancied from the church and ran away to freedom. After carousing to his heart’s content for several days, he almost landed in jail. He was so scared when he escaped being caught that he again turned to those idiotic believers, those strange black-robed people who are such suckers, since it was so easy to pull the wool over their eyes. He arrived in the ancient Holy Trinity Monastery in Zagorsk and called himself Hierodeacon Vladimir. He was surprised even himself at how quickly he was able to be clothed in formal monastic robes and then be surrounded by very pleasant if somewhat exhausting friendly concern and care. However, he found it impossible to obtain a new passport. Furthermore, it was getting more and more dangerous to live in the city of Zagorsk, which was under constant surveillance from both the police and the KGB. “But how did you dare pretend to serve the Divine Liturgy?” I asked him this because I really wanted to understand. Furthermore I thought it would be useful to show him that I knew even these details. “How awful!” Olesya cried. Sergei sighed and continued his tale. Having learned that there was a place in our country where it was possible to live without any documents, where it was relatively warm and free, he set off for Sukhumi. During his month and a half in the Caucasus he visited quite a few mountain cells and hermitages, calling himself the Hierodeacon Vladimir and bearing kind words of regards from the monks of the Holy Trinity Monasery. The mountain hermits showed him places where few people had ever been and told him things that they hardly ever told anyone. Of course, Sergei had no plans at all to stay in the mountains. However, it was there that he learned that the Abbot of the Pskov Caves Monastery had helped an ailing monk who had to come down from the mountains to receive his documents. And he also learned about the tragedy of the real young monk Augustine. We knew all the rest. When Sergei finished his story, I sent him off to his “cell.” We remained in the living room, stuck once more with a question that had been torturing us for the last two weeks, namely: what were we going to do with him? Only now the question had acquired completely new dimensions. In fact, when I had begun our discussion with Sergei by telling him that at any moment I would call the police, I hadn’t been telling the truth. It would have been impossible to hand him over to the police. And not only because Sergei himself could turn on us and tell the police that we had seriously planned to help him buy a false internal passport! All that was a trifle. The worst danger was that this man who had been in the mountains had found out most of the major paths leading to the illegal shelters in the mountains. He knew Mother Olga and Deacon Gregory in Sukhumi. He knew the location of the mountain refuges, and knew how to find the elders, and knew a lot about their links with the various secret cells. He even knew the location of elders who had been safely hiding out in the mountains for decades. There could be little doubt that the police would pay him quite a pretty penny for such information. On the other hand, it was impossible to just let him go, or else he might go back to swindling gullible kind hearts in churches and monasteries. The next day we traveled to the Holy Trinity Monastery to seek advice from the most authoritative spiritual counselors. The holy fathers were horrified by our tale and also struck with wonderment at the Providence of the Lord, but they had no concrete suggestions for us. Our position seemed to be worse and worse: our hero, realizing that we still didn’t know what to do, began to feel safer, and even began to order the kids to get him ice cream again. After all, to them he was still Father Augustine. Finally we realized that there could be one—and only one—way out in this situation: Sergei himself would have to change. He would have to repent of his sins before God and come to the police and confess. And the chances that such an outcome was possible, strangely enough, were not small. Sergei himself had been deeply amazed by the mysterious workings of the Lord in uncovering his hoax, in which a loving and compassionate Christ had revealed Himself. We could see that in spite of his problems, Sergei was truly undergoing a profound spiritual crisis. Furthermore, nearly a year of being in contact with loving Orthodox Christians, with their incomparable if somewhat naive kindness, was truly beginning to have an impact on him. He thought about everything for a long time. Finally, after long con­versations, and a confession in the Holy Trinity Monastery to Archi­mandrite Naum, for which we were truly overjoyed, he decided to accept his punishment for his sins. However, having made this decision, he took his time about acting. Zurab and I left for Georgia to finish our film, and when we came back Sergei was still living in the Vigilyanskys’ apartment. When he finally gathered himself up and steeled his spirit to doing the right thing, he took his leave of the children in a lingering and affectionate way, and finally left, taking (without permission of course) several old religious books and an old prayer book. As he had once said, it was difficult for him to pray from a freshly printed prayer book. A week later, Sergei called and said that he was going to turn himself in. A month later a detective from the Army Prosecution Squad arrived in Moscow. Because I had taken custody of everything that “Augustine” had stolen, the detective lived in my apartment, so as not to spend money on a hotel. The detective was a senior lieutenant of about my age. At his request I took him all around the main stores in Moscow, where on his senior lieutenant’s salary he bought presents for his wife, and stuffed his “perhaps” bags (which in Soviet times people would carry around at all times, in case “perhaps” something good appeared for sale in the shops) with smoked sausage, cartons of Marlboro cigarettes, and tins of instant coffee. Of course, he told us all about “Augustine”/ Sergei. Apparently he was behaving perfectly in his holding cell, never swearing or causing trouble, never playing cards, praying . . . The other criminals had given him the nickname “the Saint.” He kept this nickname throughout his years of imprisonment. Sergei cooperated with the investigators and fully confessed to all his crimes. Soon his trial took place, and for all of his thefts and crimes he was given the combined sentence of eight years’ imprisonment in a medium-security facility. For all eight years of his imprisonment, Olesya and Vladimir helped Sergei. They sent him money, books, food, and even, at his request, back issues of the Journal of the Moscow Patriarchate. Eight years later, Sergei was back in Moscow. We were very glad to see him and talked about some of our happier memories with him. He was a completely changed man, like the once-possessed Gadarene from whom Our Lord expelled the legion of demons from the swine. The swine then ran off a steep cliff into the sea, where the previous demonic deceits, crimes, and nastiness drowned in the deep, and were forgotten, as if they had never existed. Once more Sergei was living with the Vigilyansky family. The chil­dren—Nikolai, Alexandra, and Nastya—had grown up by now and already knew the true story of their former miraculous friend, the “mountain monk” Father Augustine. At first the bitter truth had greatly disturbed the children and they had even cried, but then in the end it only strengthened their faith, and they said that they loved Seryozha every bit as much as they had once loved Father Augustine. A year later Sergei unexpectedly announced that he had taken monas­tic vows, and his name had been changed to Father Vladimir. He was serving an archbishop in some provincial diocese. He was elevated soon to hierodeacon, and then to hieromonk, and he was even given a parish to look after. I decided to speak to him very seriously. The conversation was long and difficult, but it seemed to me that he had heard me. I reminded him that Our Lord Jesus Christ Himself had worked wonders in order to give him a new way of perceiving the world, that it was no coincidence that He had compassionately led him back to salvation, teaching him proper living and not just book faith. I warned him that now that he was a real monk and priest he faced enormous dangers from a false sense of security, from a perilous sense of self-contentment, when outer prosperity might become a reason for great misfortune, and even possibly a bitter end. “For when then shall say ‘peace and safety,’ then sudden destruction cometh upon them,” we are warned in Thessalonians 5:3. After all, upon taking monastic vows and becoming a priest, many things change in our lives, but not everything. The ancient evil that always dwells within us will always haunt us, and will never quit trying to steal in upon us in order to accomplish the Devil’s main goal—to steal our soul. Only ceaseless courageous battle with evil, solely for the remarkable goal that is incomprehensible to many—the purity of our soul—will justify us before God. But if Christ does not see this struggle within us, He turns away from us, from that priest, monk, or layperson who has turned from Him, leaving him alone with what he has chosen for himself. And that choice is the same as it always was—insatiable pride and desire for the pleasures of this world. As time passes, sooner or later these passions will subvert or even pervert someone who has forgotten about God. Then these passions reveal their true horrible dangers. 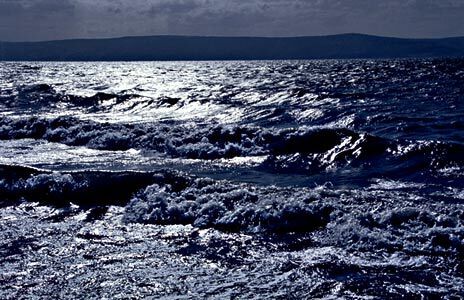 Then the Sea of Galilee will rise up, and from its abyss the enraged swine who were drowned long ago will race ashore and hurl themselves on the unfortunate who thought there could be any compromise between them and God. When the evil spirit leaves the man, it wanders through the arid places, seeking rest but not finding it. And then it says: “I will come home to the place from which I left.” And if it comes back and finds the place empty, swept out and neat, ready for visitors, then it will go and get seven other demons, even more evil than it is, and when they come there, the evil will be worse than before. So unfortunately it proved to be with Augustine-Sergei-Vladimir. In 2001 we read in the newspapers that the Hieromonk Father Vladimir, who was serving as a priest in one of our provincial cities, had been intimately linked with the company of utterly perverted local criminals, men whose mere society is completely forbidden to a monk. And he’d been found brutally murdered in his own home. Lord, grant Thy peace upon the soul of Thy servant, the murdered hieromonk Vladimir!